Loans from shadow banks have grown far faster than at traditional lenders. Strains are now showing, amid rising interest rates, a weak rupee and $150 bln of bad bank debt. Multiple flare-ups will call the RBI to duty again, including to douse the financial system with more money. 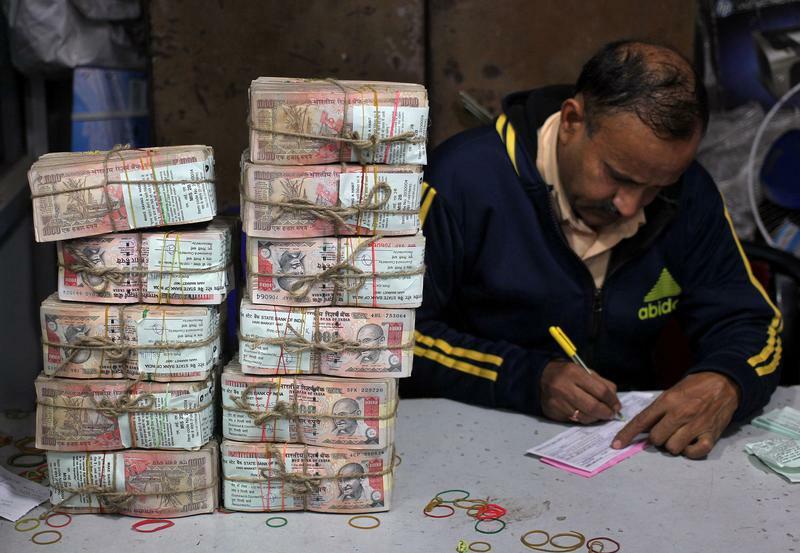 A bank employee fills a form after counting stacks of old 1000 Indian rupee banknotes inside a bank in Jammu, November 25, 2016. India’s central bank said on Sept. 27 that it would make more money available in the financial system, including by easing cash requirements for banks, allowing them to include up to two percentage points more of government securities in their statutory liquidity reserves. As a result, it said liquidity was “in ample surplus”. The country’s broad NSE and benchmark BSE indices have both fallen around 2 percent since Sept. 19, the last trading day before a “flash crash” that occurred on Sept. 21. Funding costs also have risen, after lender Infrastructure Leasing & Financial Services missed several payments on its debt. The Indian rupee was trading at 72.60 to the dollar on Sept. 28, near its all-time weakest level, while the benchmark 10-year government bond yield is at about 8 percent, close to highs last seen in November 2014.